You must make reservations at least 5 minutes in advance of the time at Marcella's Italian Kitchen - Polaris. Lunch: Monday - Friday 11:30 a.m. to 4:00 p.m. Saturday - Sunday 11:30 a.m. to 4:00 p.m.
Dinner: Monday - Thursday 4:00 p.m. to 10:00 p.m. Friday - Saturday 4:00 p.m. to 11:00 p.m. Sunday 4:00 p.m. to 9:00 p.m.
Complimentary parking is available in a lot right outside of Marcella's Polaris. 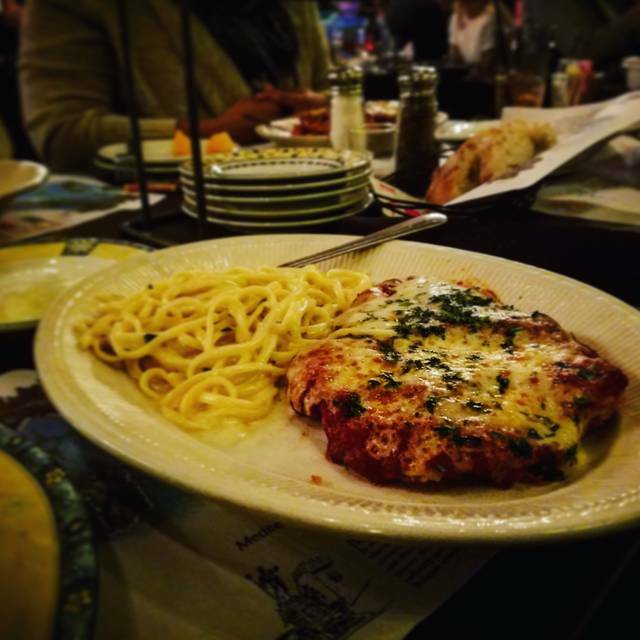 Marcella's Italian Kitchen is a bustling, urban burst of Italian flavor and energy. 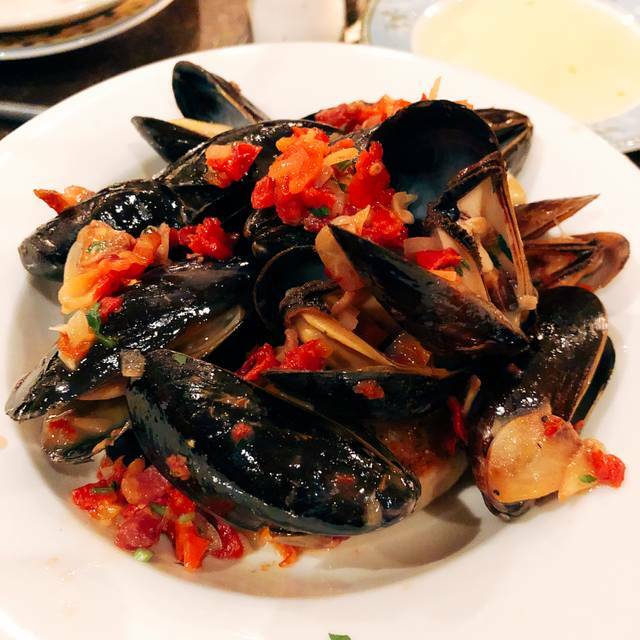 Serving lunch and dinner daily, Marcella's Italian Kitchen will have a lively atmosphere – whether it be for sharing lunch, dinner or a late night snack. The dynamic bar provides a vibrant venue for sampling from a selection of 50 Italian wines served by the bottle or quartino. The Italian menu features selections of olives, meats, cheese, small plates, as well as a variety of pizzas, pastas and Italian specialties. Marcella's Italian Kitchen brings an authentic Italian cafe to the Polaris Town Center, located across the street from Polaris Fashion Place. Food came out quickly, great service, adults and kids were happy. This is always a winner for my family. The food was good was always. Usually we do not have an issue but this time, four of us were seated at a small table. This was made worse by the huge menus that take up a lot of room and make it difficult to make room for your dinnerware or bread starter. On top of that, no one bussed our table as we finished our appetizers or meal so we had to bus our own table as it was too small for the excessive amount of plated. Our server was Tommy. I love this place, excellent food, great service and the best dirty martinis!! So many gluten free options and BREAD!! Great service. Marcella’s has a great gluten-free menu which is very important as we have two celiac children! Our entire meal was gf down to the bread appetizer! Salads, pizza, pasta dishes! Awesome! Thank you! Service and food always good. One item though, the warm olives appetizer was not warm. It used to come out in a very hot cast iron pan; not the case anymore. The last three times it was not warm. Also, while the food is good, the downtown location is much better and menus is slightly different. Yes, I would recommend to a friend. On this particular visit (we have been there often), the entrée was served when we were not even half finished with our salads. We just love Marcella’s! They always have great options for kids and for those who need gluten free. Always end up at Marcella’s. They just weren’t on for some reason today. Couple of pastas arrived cold and two others were way over sauced. Odd for Marcella’s. Never bad, but certainly not up to par. We come for the meatball- best I’ve ever had!! We always love Cameron Mitchell Restaurants. They offer a wide variety of gluten free options. Unfortunately Marcella’s changed their gluten free bread recently. It used to be fresh and soft but it is now hard and dry. It’s disappointing because that was one of the highlights of dining here. We were able to sit on the patio as it was a beautiful warm evening. 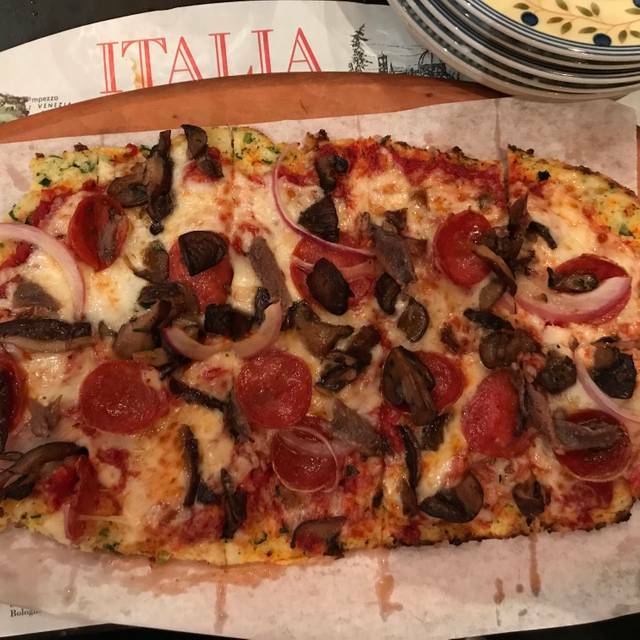 The pizzas and gnocchi were delicious. There was a slow start to getting service but once our server found us things were perfect. Love this place! Always an option when picking a place for dinner. Great options for gluten free customers. Overall, it is very loud. A manager told us they have added tables which pushes everyone closer together. We had a reservation but arrived 30 minutes early. The table they wanted to put us at was overwhelmingly loud so we asked to be seated at one of the several other open tables. They told us those were for other reservations, which I get, but when we told them we would just wait the 30 minutes, they responded that we would still get the same table! Not sure how our reservation locks us into a bad table and other reservations got better tables. They did end up finally moving us, right next to kitchen which was actually quieter than other areas. Service was average. Food was average. I remember this place being much better. I'm from Cleveland was meeting my friend there for lunch and to go shopping. We went for lunch and can't wait for another time we can come back to go there for dinner. The atmosphere was wonderful and even sat out on the patio. The service was fantastic. He was very thorough, gave us his recommendations once asked, and checked in often. The food was amazing. In Cleveland we're known for our Italian restaurants and I'm also Italian and their sauce was spectacular. I highly recommend trying this restaurant if you haven't done so already. Very enjoyable evening! Great food, and our server, Sara, was exceptional. As busy as she was, she was cheerful, pleasant, and very attentive. Ask for one of her tables! Ryan was a good server. 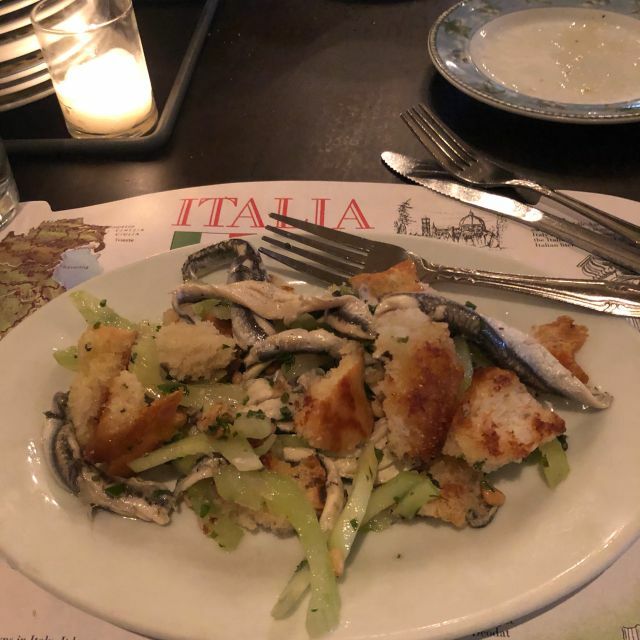 I asked about the white anchovy bread salad that used to be on the menu and the kitchen made it for me, at Ryan’s request! I love that salad and it made my day!! We had an adult party of 4 celebrating a birthday. 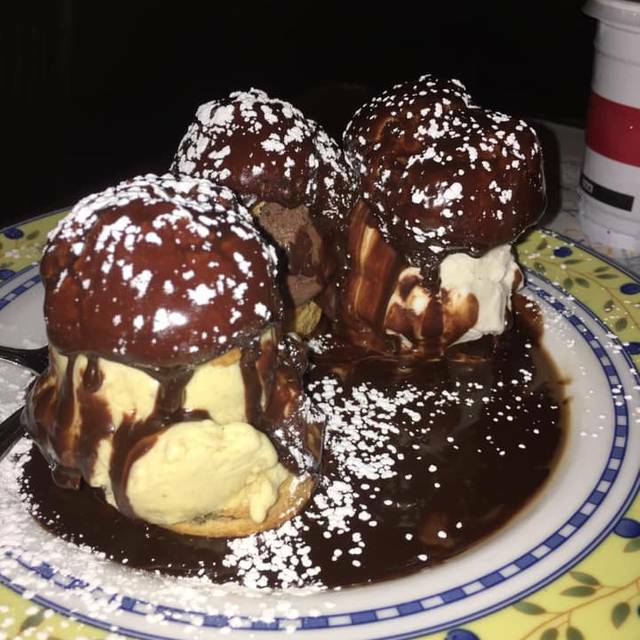 Other than the desert, the food was very disappointing. Certainly below what I have received in earlier visits. I will not likely be returning. Great food, excellent service, & great atmosphere. Server also made a great recommendation for my meal. Outstanding service. The food was exceptional. I brought my parents who are from out of town and they were pleased. Wonderful experience and great food! Delicious food as always. Service was a little bit off but nothing crazy. We will keep coming back for more! We visited Marcella’s for our wedding anniversary. The food was great and our server Ronnie did an excellent job also. The atmosphere was pleasant. Overall a little more expensive than similar restaurants but we agreed the food was better as well. 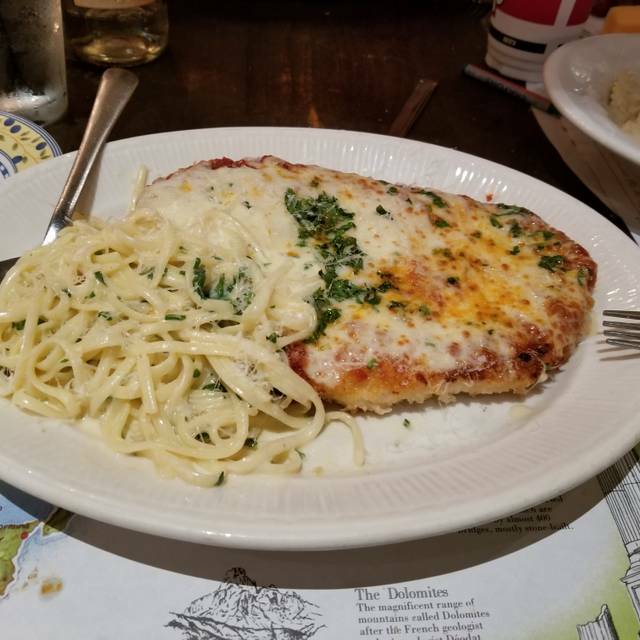 (Chicken Parmesan and Veal Marsala- both excellent) We will be returning! Best spaghetti and meat ball I've ever had. Really does just melt in your mouth. 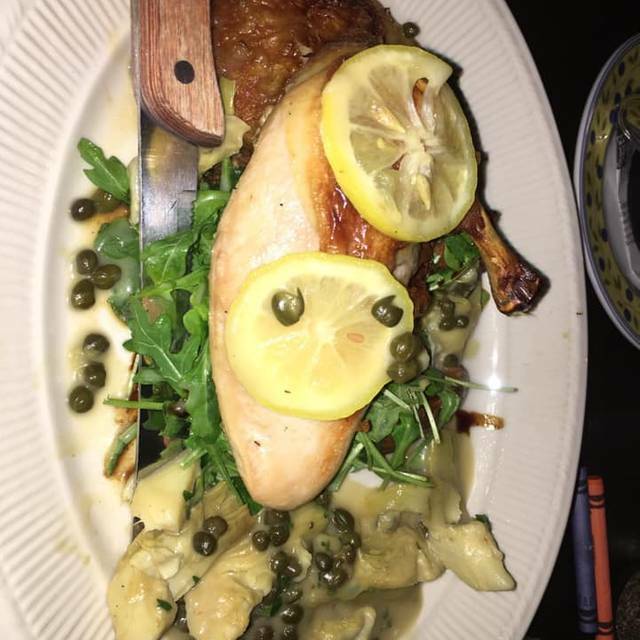 Food was great, service was outstanding and price was very reasonable! We had a great mail and good service. Definitely would recommend. Took our out of town guests here for dinner and they loved Marcella’s. We love it too. Everything was great per usual. Our waiter could have been a little friendly. He was on the frosty side. It was however a very busy night. Food was so good. Food was so so for Italian. Price reflects upper pricing so would expect better tasting quality food. Service was excellent and inside bar and drinks were very good and well poured. Seating little tight on small tables but there are all so better seats that some had. Our waiter was wonderful....very busy and still did a great job! Wonderful meal. But price points are a bit high. 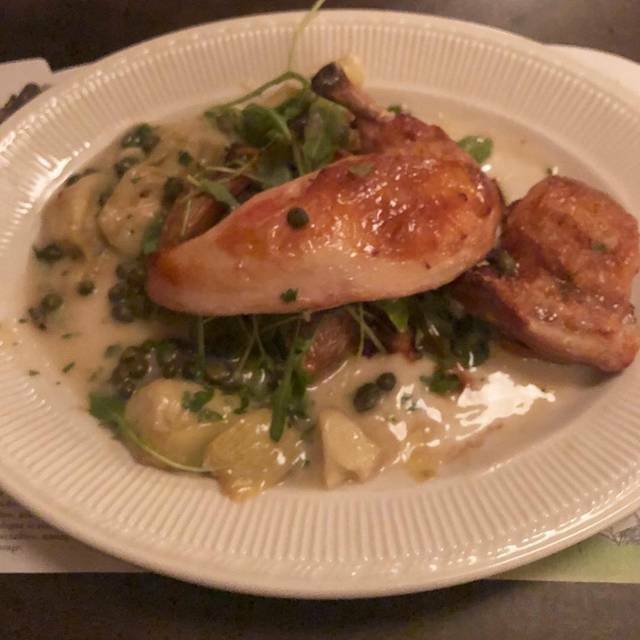 Great food, wonderful service! Will definitely be back. Our server was VERY tall. Maybe 6’4” (which shouldn’t matter)....BUT when we were ordering, he kept harping that he could not hear us. He needed to bend down! My mom is 85, and her voice does not carry. He was not very understanding at all and it ruined our evening. The service was very good even though it was very busy. The meal was hot and tasted very good. I feel it was worth the trip because we live 73 miles from there. We had other business in town and we will go back again when next in Columbus. Thank you and keep up the great work. Great food! 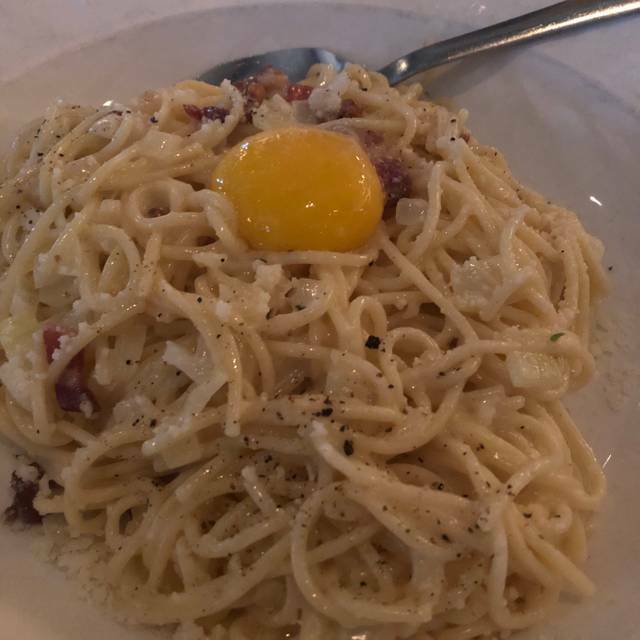 I understand that you typically get your food kind of slow at Marcella's because they prepare everything fresh and as ordered, but ours was exceptionally slow on Saturday. Not sure, but it may have been our server, considering that others around us got there food faster than we did although they came in later than us. Also, anytime we asked for something, it took him a very long time to bring it back to us -- perhaps he had too many tables? The food was delicious. We weren't in a terrible hurry, but were ready to get back on the road. Make sure you have plenty of time when reserving.